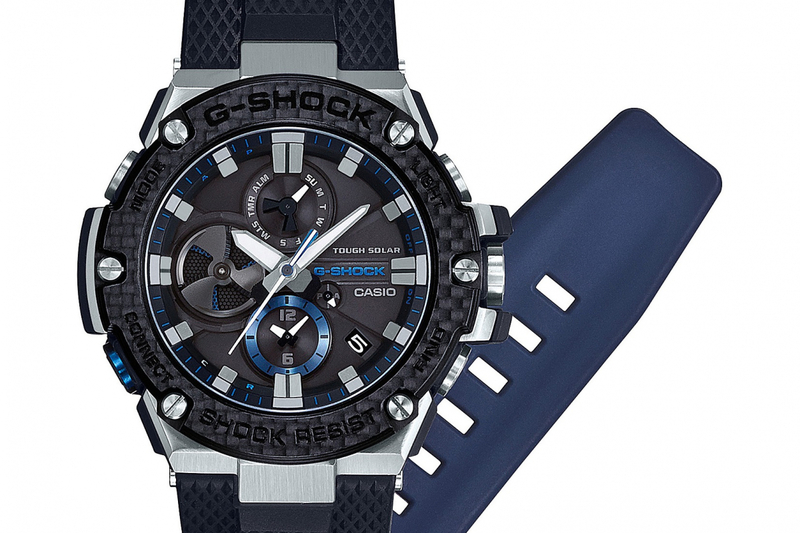 When Casio’s G-STEEL was first announced to the world some years back, many looked at it as an unexpected evolution of the G-Shock. While the resin-cased G-Shocks firmly held its target demographic of younger males who liked the sporty look, the G-STEEL was meant for the gents who had ventured into the working world and perhaps, might not have been able to wear G-Shocks in a professional office setting. Encasing the watches with steel gave the watches a more office-friendly vibe, epitomising the words, “from suit to street. This year, the G-Steel range looks to add more functionality and style to the mix, showcasing five new models that see a new layer guard structure to improve the shock absorption capabilities of the watches. This new combination of metal and resins has been integrated into the case so as to slim down the thickness of the watch. It’s an important step, and one that complements the new and improved thinner modules. Casio has made it obvious that the wearability of the watch is an important factor. To balance out the “street vs suit” feel, the new additions to the G-STEEL collection feature analog chronographs, a first for the collection. In removing the digital chronograph, the watches opt for a cleaner look that’s easier to work into any wardrobe. For the men who’re looking to get into a little sporty action, we recommend the GST-B100XA (as shown below) or the GST-B100X. Thanks to the combination of Torayca carbon fiber and a Casio-made Nanoalloy resin, the resulting bezel shows extra resistance to high impact and looks even more stylish than the steel variants. The new timepieces also feature dual time indications (the smaller analog clock at six o’clock tells it) that are easily displayed on demand as well as alarm functions, a day indicator as well as one for the battery level. A 24 hour indicator, left of the Casio logo, also allows its user to easily know exactly what hour it might be at home. What’s most important for the man who likes his technology, is the fact that the new G-STEEL timepieces are all equipped with Casio’s Connected Engine that “connects to Internet time servers via a smartphone, to keep accurate time anywhere in the world.” This same connectivity through an app will allow users to set the alarms and second time zone displays quickly. With so many functions, the Connected Engine has been a nice touch that has allowed for ease of use. The new Casio G-STEEL timepieces are available at G-FACTORY stores islandwide.